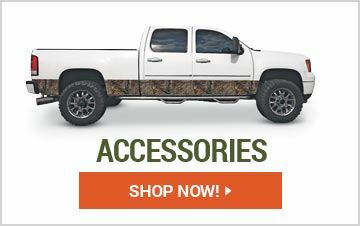 Sportsman's Guide offers the latest brand name Pick-Up Truck and SUV Accessories to outfit your vehicle for your next great adventure. We'll help you protect your investment with a wide selection of Bed Liner Protectors, Vehicle Covers, Floor Mats, Seat Covers, and more all at great low prices! Gravel Tuff Heavy-Duty Tube Mount Speed Jack, 2,000 lb. Gravel Tuff Heavy Duty Universal Mount Speed Jack, 2,000 lb. 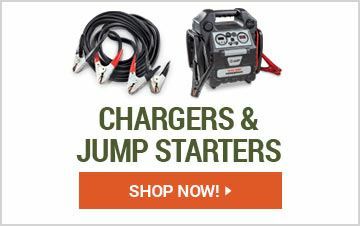 Sportsman's Guide's Chargers & Jump Starters will ensure that you'll always keep your rig running, no matter how remote your location, while our Towing Equipment make it easy to tow your boat, camper or trailer. Easily organize your gear with our Consoles & Storage options and Gun & Fishing Racks. And don't forget your best friend! Our pet dividers make it easy to safely travel with your dog. Before you head off on your next adventure, make sure your pick up truck or SUV is optimized for Mother Nature! Your SUV or Pick-Up Truck is a critical tool for getting around the great outdoors. 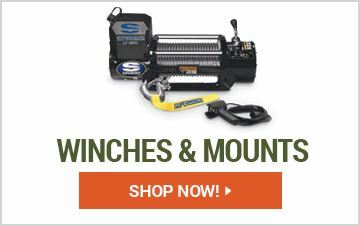 Sportsman's Guide makes it easy to outfit and maintain your vehicle for all of your sportsman's or sportswoman's activities. We make it easy for you to easily navigate through the toughest weather conditions with our selection of Radar Compasses and LED Lights, while our heated fans and throws keep you warm inside the cab. Shop our deflectors to defend against the sun's glare and bothersome insects. And keep dirt, mud and water outside of your truck or SUV with Floor Mats & Liners, Bed Liners, Mud Flaps & Tonneau Covers to fit all makes and models. Check out the Guide Outdoors for tips and hints for towing and trailers. Read "Boat Towing Tips".